In the mid-seventies Peter Russell joined forces with Tony Buzan and helped teach “Mind Maps” and learning methods to a variety of international organizations and educational institutions. Since then his corporate programs have focused increasingly on self-development, creativity, stress management, and sustainable environmental practices. Clients have included IBM, Apple, Digital, American Express, Barclays Bank, Swedish Telecom, ICI, Shell Oil and British Petroleum. As one of the more revolutionary futurists Peter Russell has been a keynote speaker at many international conferences, in Europe, Japan and the USA. His multi-image shows and videos, The Global Brain and The White Hole in Time have won praise and prizes from around the world. 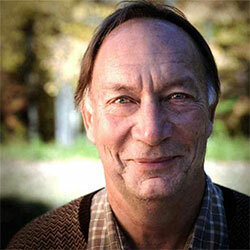 In 1993 the environmental magazine Buzzworm voted Peter Russell “Eco-Philosopher Extraordinaire” of the year. To read more about Peter, visit his personal site. Who’s Kidding Whom: Is Western Civilization Compatible with Sustainable Development?